CD review: "Scene 20," "At the Scene" and "Eight-String Swing"
These reviews first appeared in the August 28, 1992 issue of the North County Blade-Citizen (now North County Times). One of the earliest of the so-called "newgrass" bands, the Seldom Scene is also one of the longest-lived. 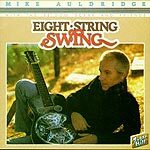 To commemorate the band's 20th anniversary, Sugar Hill Records has released three CDs: a two-disc live set, "Scene 20"; a reissue in CD format of 1983's "At the Scene"; and a reissue of a 1988 solo album by Seldom Scene dobro player Mike Auldridge featuring several other members of the band in backing roles. The best of the three is "Scene 20," reuniting past members with the current lineup in a two-day concert at their home club in Washington, D.C. While the two studio sets are top-notch bits of bluegrass, it's in a live setting with a knowledgeable,appreciative audience that the band shines brightest. It's interesting to note, too, how little the band's sound has changed through the years. This is probably because there has been surprisingly little turnover in the band. Auldridge, Ben Eldridge (banjo) and mandolin player John Duffey have been the constants through the band's years, providing a consistent level of vision and style. Other co-founders dropping in for the reunion were vocalist/guitarist John Starling and vocalist/bassist Tom Gray. Other members through the years have included vocalist/guitarist Phil Rosenthal and current members Lou Reid on vocals and guitar and T. Michael Coleman (bass). Besides the repeated joy of hearing some of country's best players slide into a breakdown at the drop of a pick, "Scene 20" features another plus  Emmylou Harris sitting in on guitar and vocals for "Pictures From Life's Other Side." While Top-40 country artists are taking traditional songs and trying to make them sound modern, The Seldom Scene is more likely to take a modern song and turn it traditional. This approach leads to one of the highlights of "Scene 20": An eight-minute instrumental chase through a bluegrass medley of "House of the Rising Sun/Walk Don't Run" followed by a rousing country cover of the R&B hit "In the Midnight Hour." Auldridge's album continues the practice of taking songs from different musical idioms and turning them on their country ear. On "Eight String Swing" his covers of the jazz standards "Red Top" and "Stompin' At the Savoy" are as pure bluegrass as anything Bill Monroe ever laid down. Joining Auldridge on "Eight String Swing" are fellow Seldom Sceners Duffey, Eldridge, Gray and Rosenthal. "At the Scene" was recorded during the band's second incarnation. In addition to the above trio of Duffey, Auldridge and Eldridge, the band is rounded out by guitarist/mandolinist/vocalist Phil Rosenthal and bassist/vocalist Tom Gray. 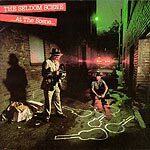 Not as exciting as a reunion album or solo album with a new instrument, "At the Scene" is nevertheless full of excellent bluegrass picking and singing and serves as a less-expensive introduction to the band than the two-record live set.